The seventh edition of the SAR-Meet at Kiel-Holtenau took place on 26 June, 2010, as an additional event during the Kieler Woche, which is traditionally held in the last week of June. 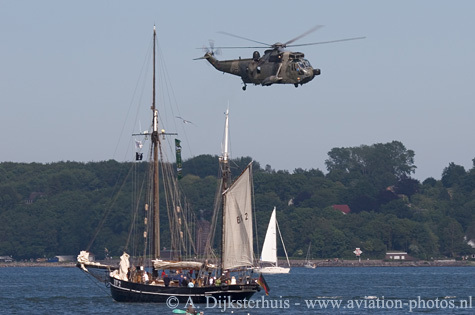 The SAR-Meet attracted about 22,000 people to Kiel-Holtenau on the Saturday, for what will probably be the last time it will be held at this base. Once again it was a small-scale event, with only one flying SAR display presented a few times that day, by a Marinefliegergeschwader 5 Sea King Mk41. One of their helicopters had been given a special livery, to celebrate 35 years of Search and Rescue with the Sea King fleet. Although small, the SAR-Meet has always been an interesting event for people with special interests in helicopters. A variety of helicopters, both military and civil, could be seen that day, and because of the lack of barriers (only a few fences were in place, to keep the crowd away from the operational zone) many helicopters were accessible to the public. This year’s edition included a few foreign highlights, although the average visitor that day probably did not recognize them as such. One highlight was an HH-60G Pave Hawk. The HH-60G is one of the five Pave Hawks assigned to the 56th RQS (Rescue Squadron), 48th Operations Group, based at RAF Lakenheath in the United Kingdom. The 56th Rescue Squadron is a combat-ready search and rescue squadron that executes all-weather search and rescue missions both day and night, and even in hostile environments to support (special) forces. The Pave Hawk also performs civil search and rescue missions from RAF Lakenheath, as it can extend its range by using the retractable in-flight refuelling probe. One regular participant at the SAR-Meet at Kiel-Holtenau was the S-61A-1 of the Royal Danish Air Force. 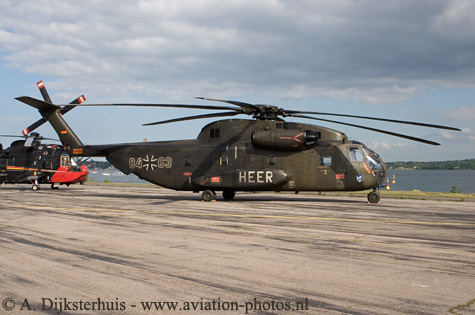 Its helicopter participation this year was extra special: the S-61A fleet of Esk 722 had been officially withdrawn from service a few days earlier, on 16 June, during a short ceremony at Karup Air Base! Eight S-61s were delivered in 1965, and another in 1971, as a replacement for the loss of one helicopter in February 1968. One of the three remaining S-61A-1s, serial U-279, was present at Kiel-Holtenau, with special markings applied just behind the cockpit, to record the 16,600 missions flown in some 124,000 hours of flight between 1965 and 2010. A large Sleipnir was painted on the fuselage, reflecting the Sleipnir in the badge of Esk 722. The Sleipnir was an eight-legged horse in Norse mythology. On June 30, a few days after the SAR-Meet, the last flight of the S-61s took place. For Search and Rescue operations, the EH101 Mk 512 Merlin has begun to replace them. One of the Sea King-based Mk41s received a special livery, to celebrate 35 years of Search and Rescue with the Sea King. This particular helicopter was scheduled to fly the demos during the day, but unfortunately technical problems made this impossible. Instead a regular example flew the demos, leaving the specially painted Sea King behind on the tarmac, together with Sea Kings from Belgium, Denmark and the UK. 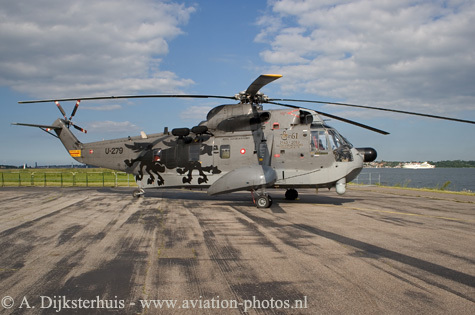 The Belgian Sea King Mk.48 with serial RS-05 still has its special livery, which celebrated the 25th anniversary, and was applied back in 2001! Hopefully, they will change that to 35 years next year. The SAR meet is not an exclusively military event, and civil helicopters could also be seen. The largest civil helicopter on static display was an S-92 Helibus, which flew in from its home base in Esbjerg, Denmark, from where it flies for CHC, supporting the offshore operations in that area for Mearsk Oil and Gas. 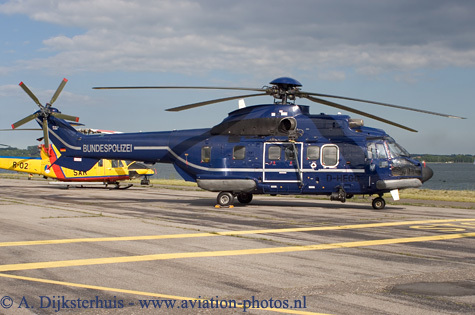 The Bundespolizei and the regular Polizei participated with an AS.332L2 Cougar and an EC-135, respectively. 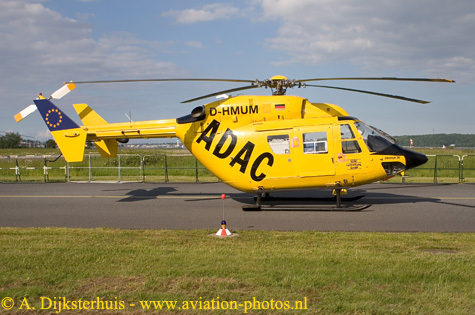 EMS-helicopters (Emergency Medical Services) from two operators were also present, as was the ADAC, with one of its BK-117B2 helicopters, along with another BK-117B2 from the DRF Luftrettung (Deutsches Rettungs Flug). The future of Marineflieger Geschwader 5 is as yet uncertain, with many changes expected to it in the next few years. The unit is scheduled for relocation to Nordholz Air Base, and this should take place by December 2012. Nordholz Air Base is the homebase of Marineflieger Geschwader 3, which operates the P-3C Orion, Dornier Do-228 and Sea Lynx helicopters. Another issue is the type of helicopter that will replace the 21 Sea Kings, which are not getting any younger, having started operations in 1975. 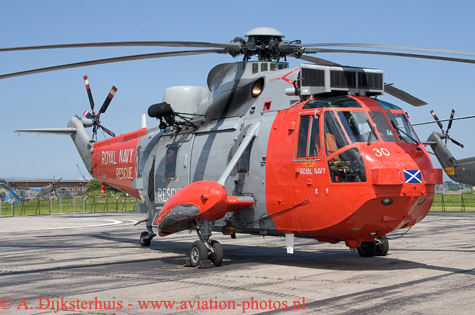 It is expected that a (Maritime Helicopter) variant of the NH-90, the MH-90, will be selected as the replacement for both the navy’s Sea Kings and Sea Lynxs. 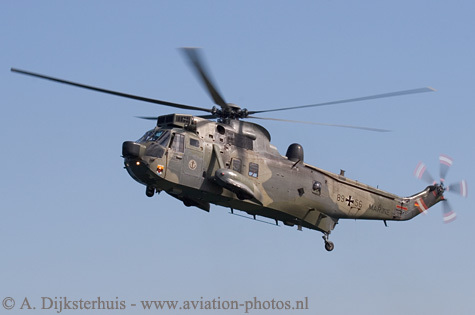 This may be a logical choice for various (money-saving) reasons, in the light of the order for 80 NH-90 helicopters placed in June 2000, and the additional order, in 2007, for another 42 NH-90s. However, a third intended order for 30 MH-90 helicopters has not yet been placed, and it is not certain that this variant of the NH-90 will be selected as the new Search and Rescue helicopter for the German Navy. In February, the German newspaper Bild reported a leaked internal Bundeswehr (German Armed Forces) report, which contained strong criticism of the NH-90, and a list of its shortcomings. 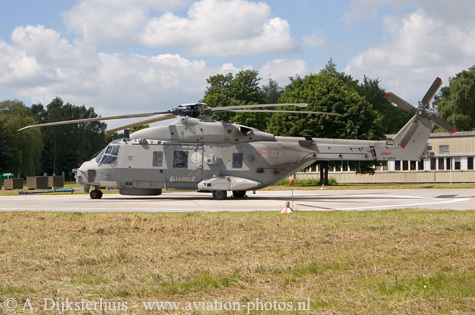 Although the newspaper presented this as the revelation of an important secret, the manufacturer of the NH-90, NH Industries, was already aware of this report, and stated that the information in the public release by the newspaper was not consistent with the current status of the NH-90. The CH148, a military variant of the Sikorsky S-92 Helibus, has been named as the MH-90’s competitor for the German Navy. Both the NH-90 (a factory-owned helicopter intended for the Italian Navy) and an S-92 Helibus were present during the SAR Meet. Later this year, a decision will be made on which type is to be ordered, in a batch of 30. Only time will tell.